Is that fondant in your pocket or are you just pleased to see me? 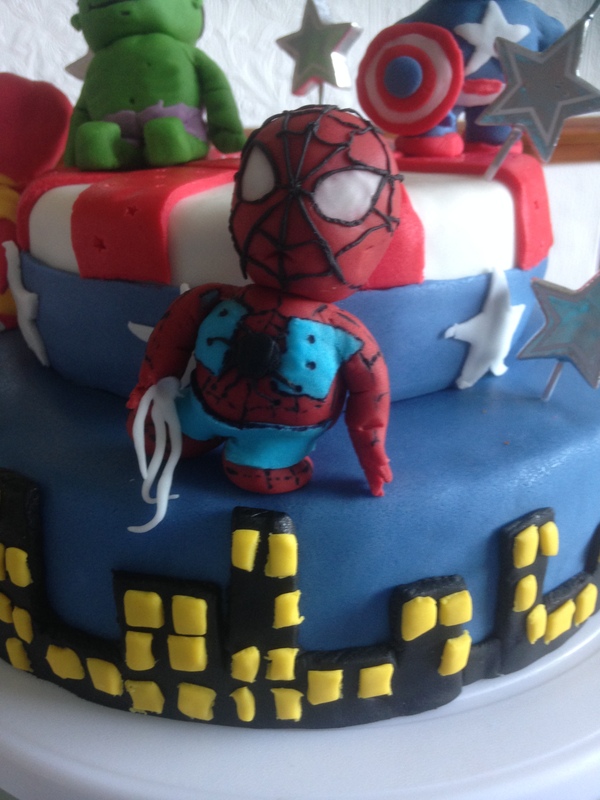 A fondant-fanatic I am not, but, I think you’d be hard pushed to find a way of icing a child’s birthday cake (or an adult’s for that matter) that yields a more satisfying result. 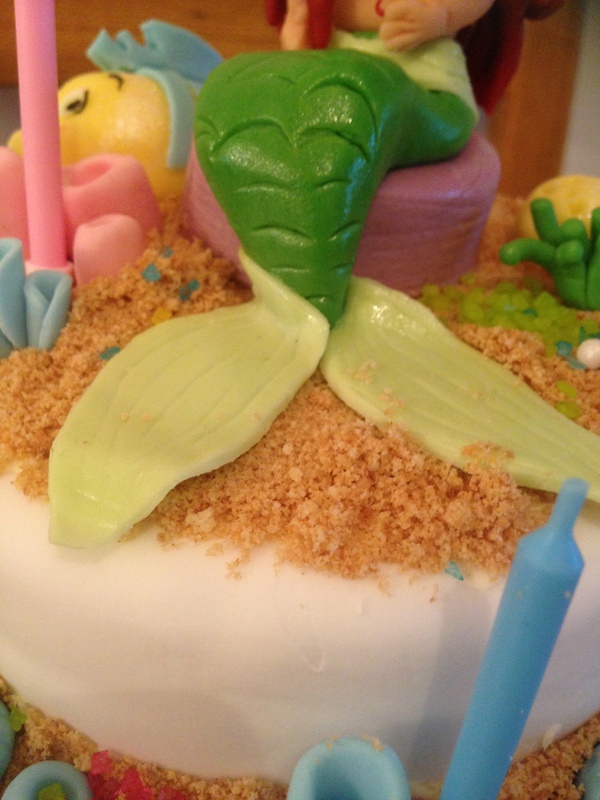 Indeed, if it’s a character cake you are after then look no further than this sugary, grown-up play-doh. 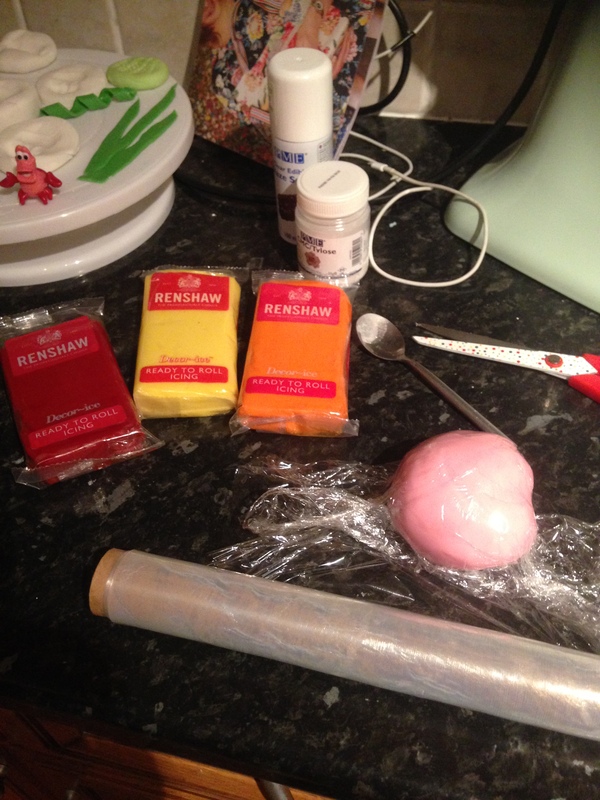 I use ‘Renshaws’, ready coloured , ready-made fondant. 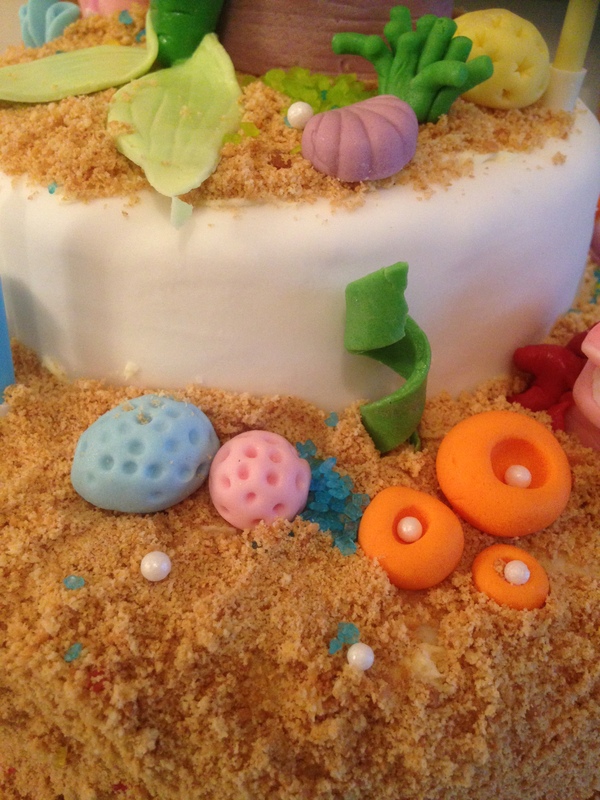 The fun for moi is in the modelling, not faffing with recipes for fondant. 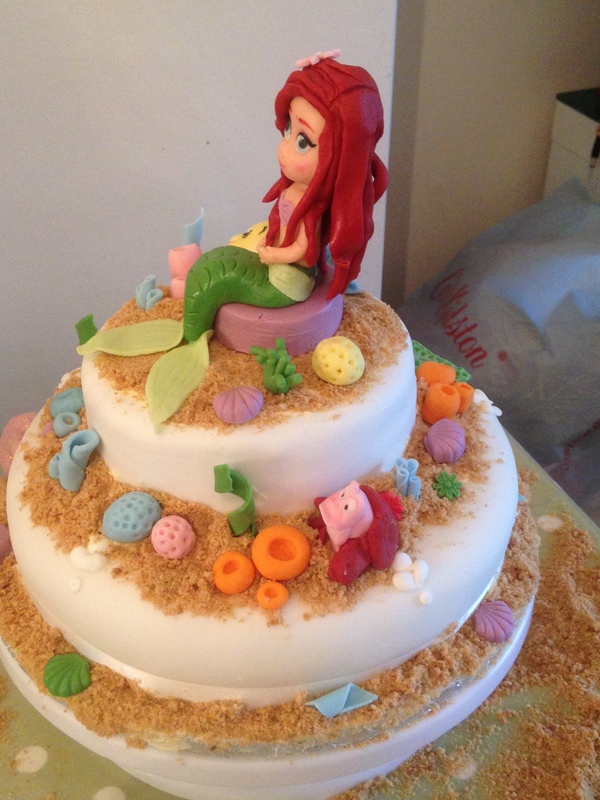 Saying that, I may try to make my own fondant in the future, it does get pricey if you are making quite a few cakes. Indeed, cost is a factor that is worth a mention. I have never, seriously, weighed-up if the cakes I have made compare favourably against the cost of a professionally made, cake-shop-bought cake. I do know that if you desire elaborate characters and personalised, bespoke details then you will end up paying more. Overall, I have parted with cash for the ingredients and, this year, various tools. I now see it as another interest/passion so it follows that requires investment and I am happily expanding my skills with each cake. I also have some sort of masochism going on to torture myself like this each year! 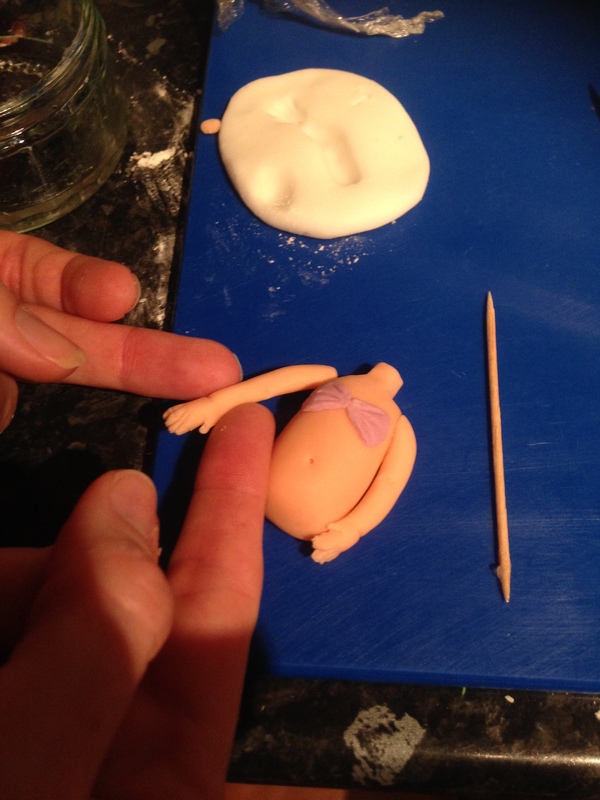 On the subject of torture… my poor husband returned home to this in the middle of my making the Ariel cake for my daughter’s 3rd birthday. 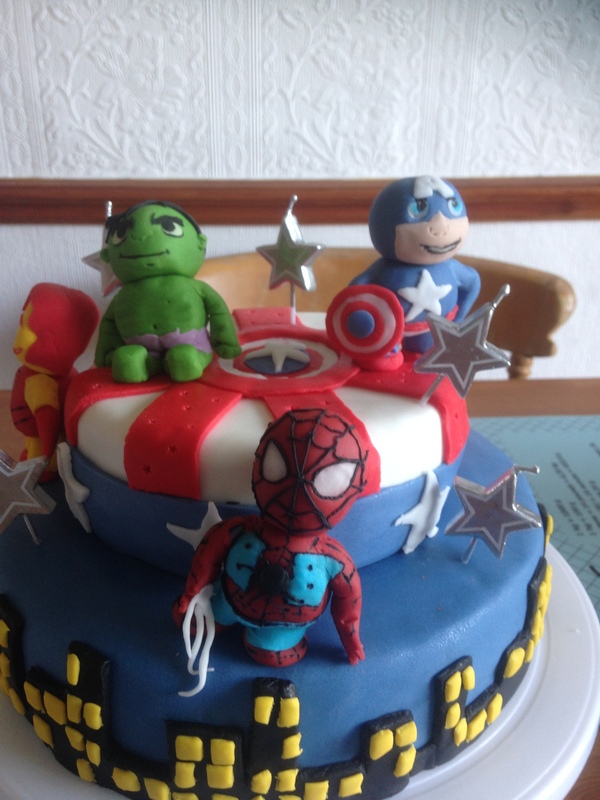 Each year I, stupidly, allow my children to choose a theme- we’ve had suggestions of Angry Birds, Lego Star Wars, Rabbit, Sandcastle, and more recently, The Avengers and Ariel from ‘The Little Mermaid’ took centre-stage. 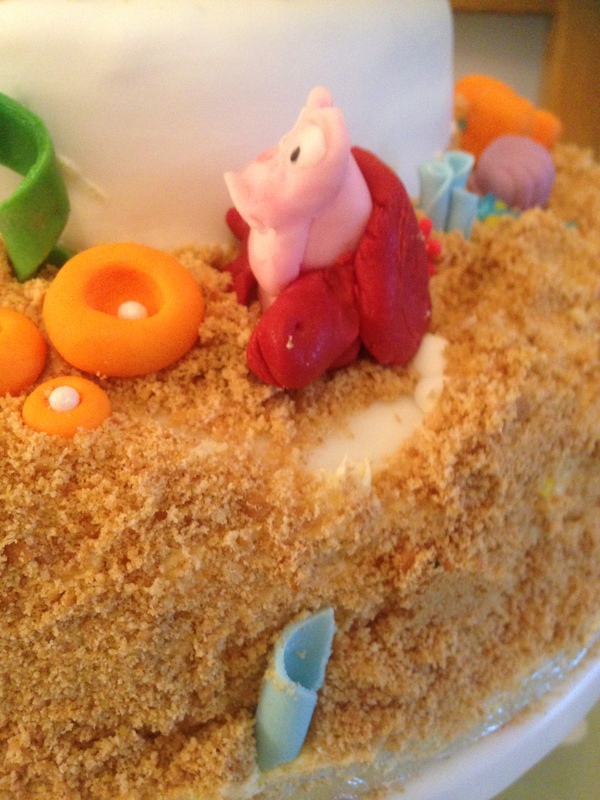 Each cake that I have made has taught me something new and I want to share it here – as I know you foodies and fellow masochists might be interested! 1. 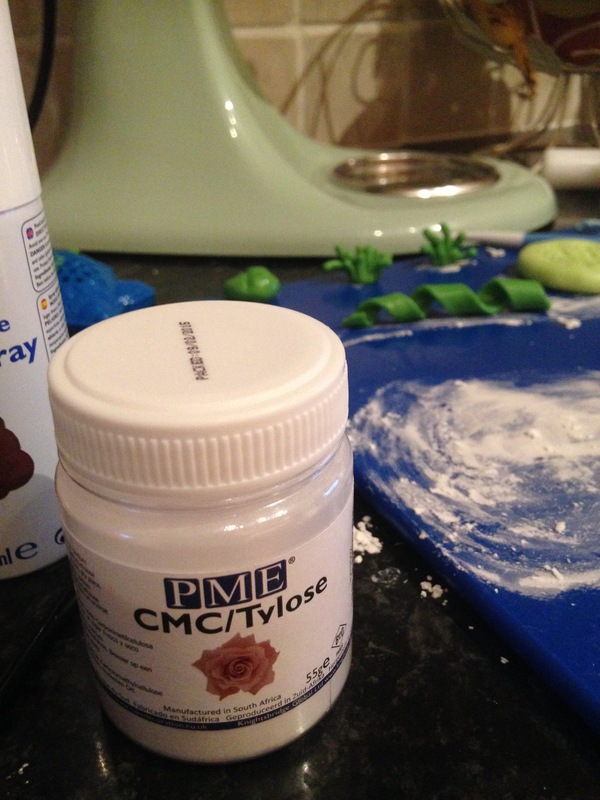 Tylose Powder – this stuff underpins all those amazing, gravity-defying cakes you see on Pinterest and at cake boutiques…just look at that seaweed, see how it stays vertical? Tylose powder, mixed into a ball of fondant gives it a greater elasticity and general moldability and (ahem) staying power. 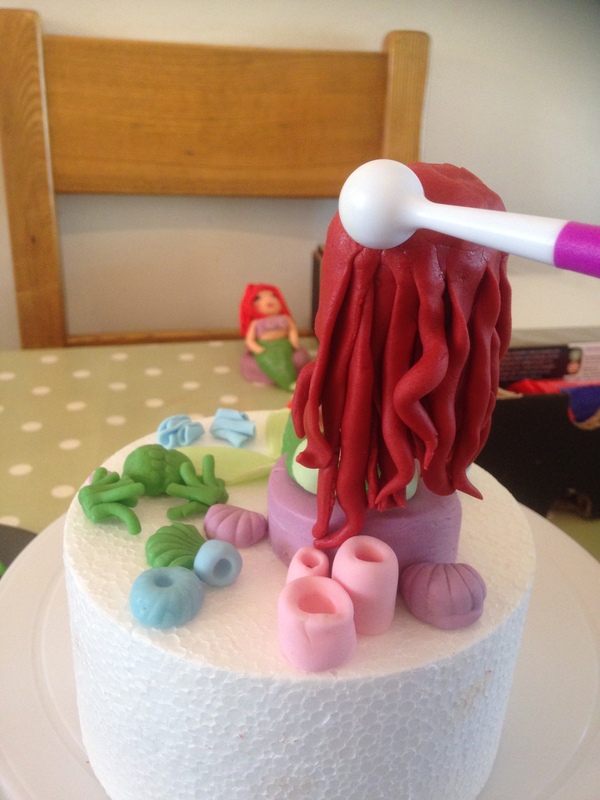 You could call this the viagra of cake making (I did warn you). 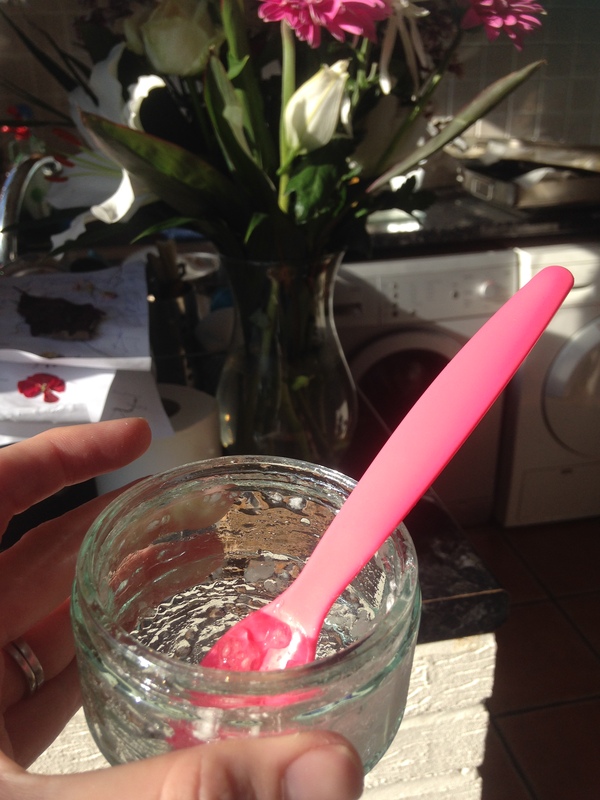 Half a teaspoon of this magic dust and you will have firm figurines and seaweed- so erect- it could make a girl of the night blush. 2. Moulds using old-fondant remnants. Yes, you heard right…that fondant you throw away because it’s out of date or been over-used and finished-with can be reincarnated for perfect, little prints of objects- to place on your centrepiece cake. 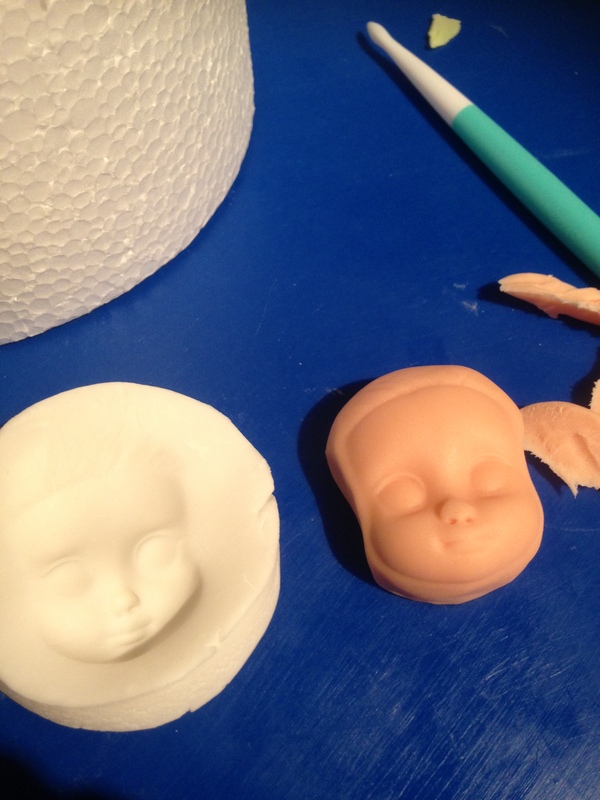 Now, I tried other ways to mould shapes, in particular doll’s faces, for perfect figurines- hence the doll torturing above. This did not go well. Not only does it make for a disturbing scene, very difficult to explain, honestly, but it is also ineffective. 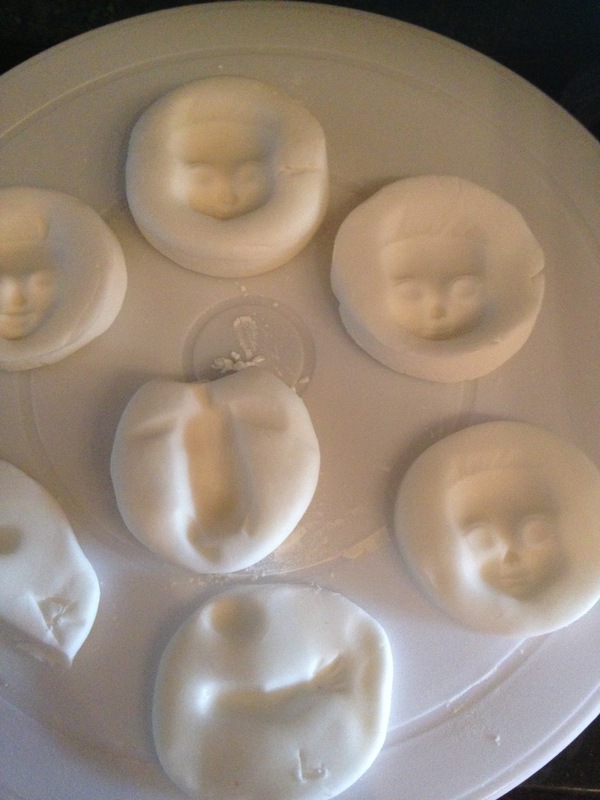 I used a moulding jelly and I found it wasn’t robust enough to take the amount of pressing in of fondant that was needed to to create subtle facial features and contours. 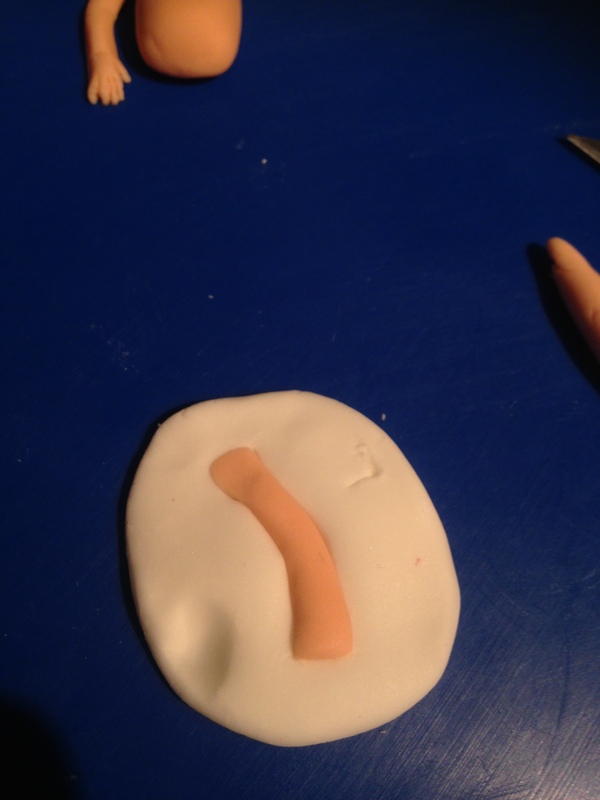 So, now being able to mould my chosen shapes and objects I could race ahead and frolick thought this fondant lark. 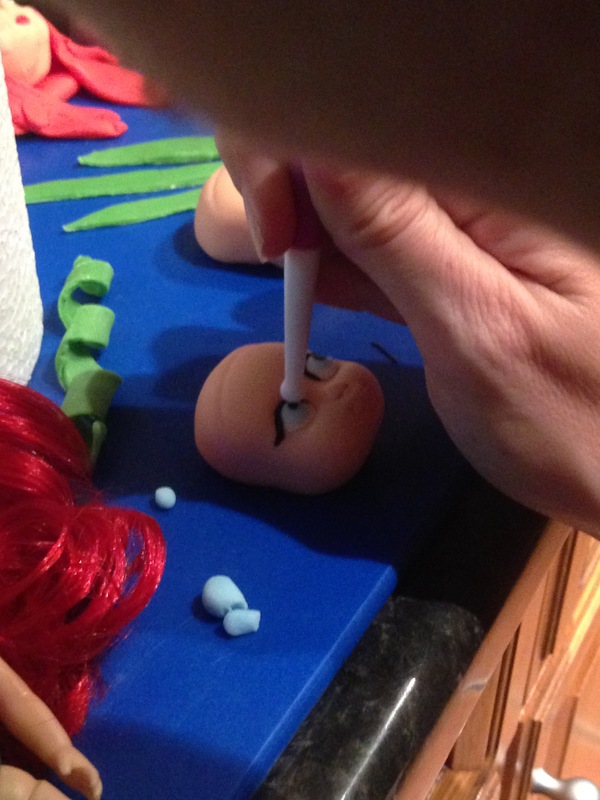 I had a perfectly formed doll’s face (can’t say that without launching into a rendition of Dirty Den’s “alwight doll face” for some reason) now all I had to do was decorate the features. This involves patience and time: this is good for me as a form of harnessing that rush, rush part of me and forcing myself to focus and slow down. This doll’s mush needed seriously steady hands and a focused mind, in fact, I could lose a whole evening working on it and think I had only spent an hour, it is totally engrossing, escapism. 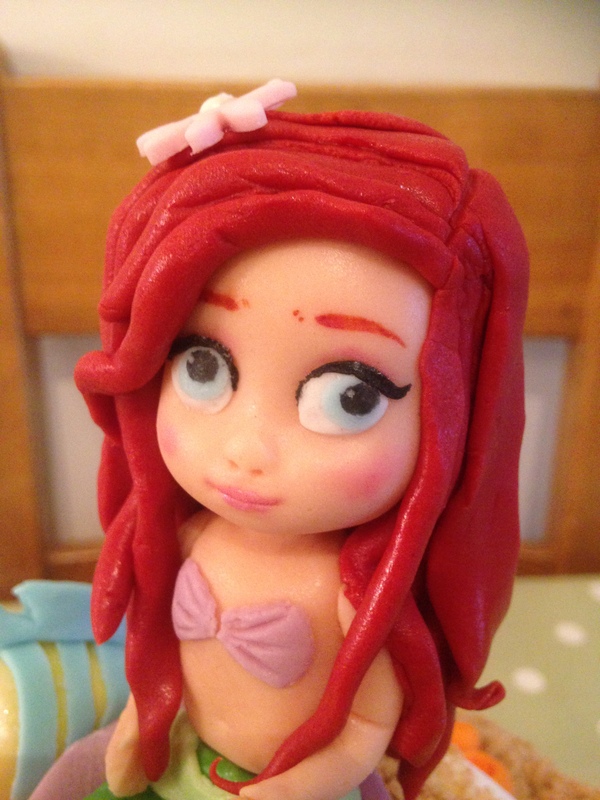 For information, I used fondant to make Ariel’s facial features. I didn’t get on very well with the pens or brushes you can buy; they often bled into the icing and looked a bit messy – see first failed examples.. 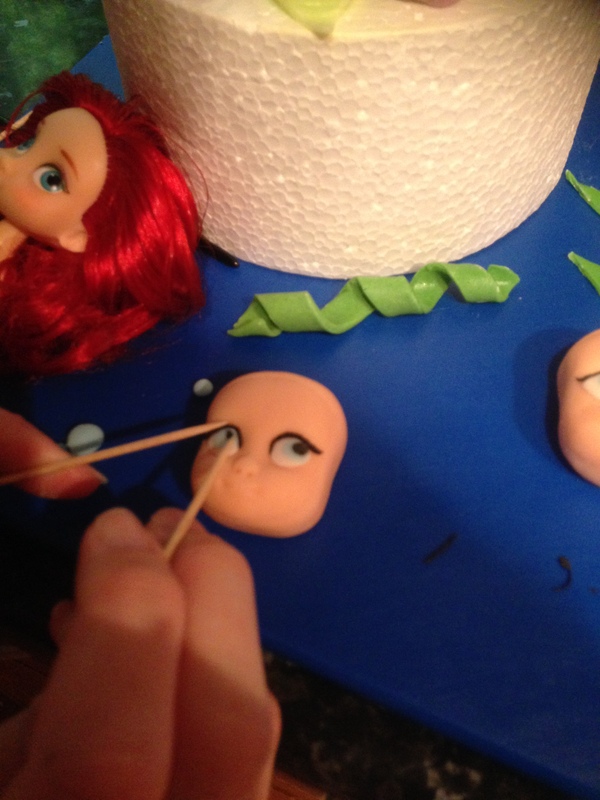 I worked hard on using tinier and tinier amounts of fondant to do the mouth and eyes – if in doubt use less, and then less again, is now my rule of thumb. Awkward-looking figures are usually due to oversized parts -whoops there it is again. 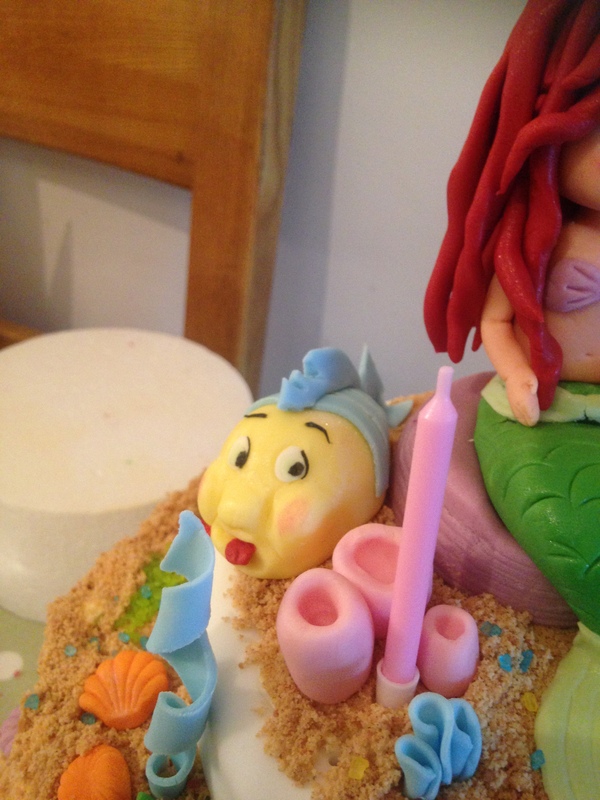 After lots of preening and primping – she looked like this (see below) and I was the proudest I have ever been of anything I have ever made – ‘The Little Mermaid’ was also my favourite film as a child- so that helped and added to the enjoyment! 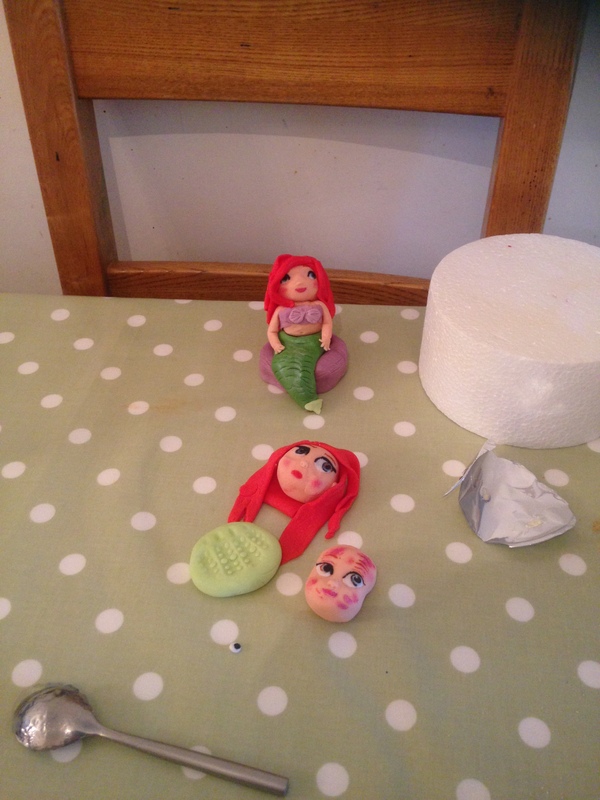 So, now I had discovered fondant moulds I could leave the poor dolls alone and I could make figures like the ones I ogle over on ‘Rouvelee’s Creations’. This woman is a genius. 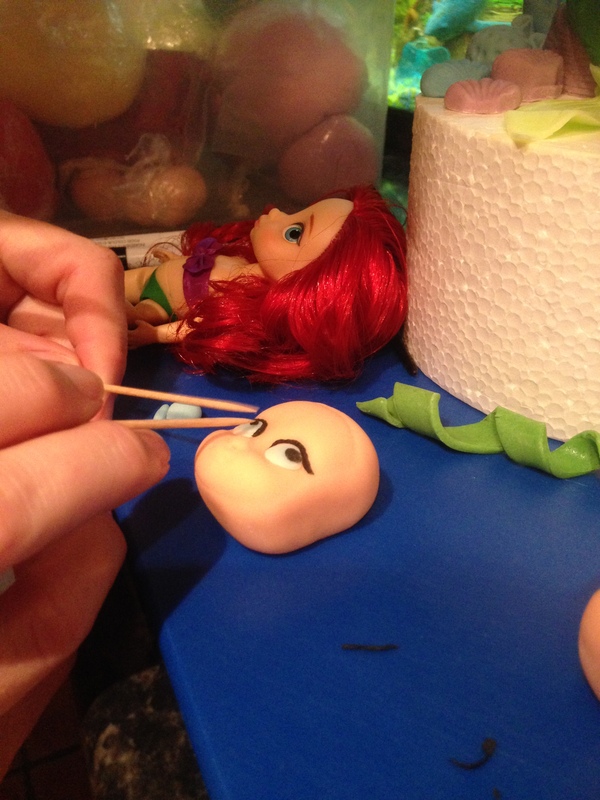 She is the Leonardo DaVinci of fondant. One look at the figurines she creates and it changes you forever. I knew I had to try harder. Indeed, my Ariel (above) is based on her beautifully poised figurine – found on Pinterest. 3. The third main thing I have learnt that changed the game entirely for me is that you can store fondant. 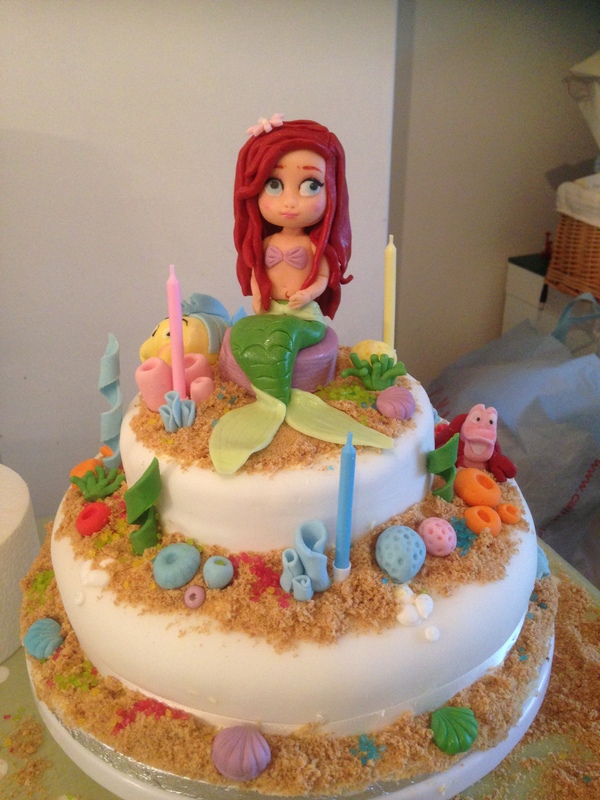 SERIOUSLY – I used to make cakes in the few days before the birthday/event and ice it all in one crazy burst of fondant-fecklessness. To discover you could make them months in advance and then plonk them on top of your cake on the day – well this is a revelation. 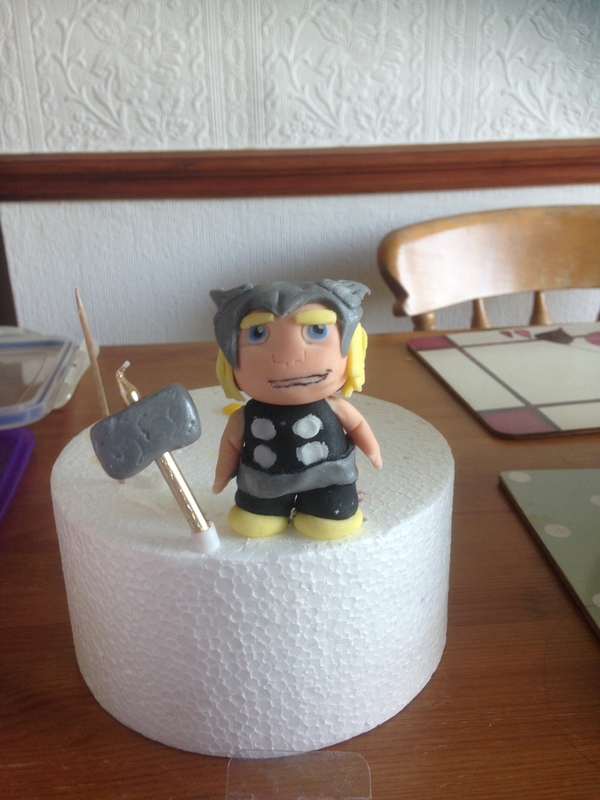 Now, be careful: you can only store a figurine in a cardboard box; if you put it in a plastic tub- like the ones you should store unused fondant in -they will sweat; don’t put them in the fridge either, they will fall apart and fade; a cardboard cake-box is best, in a cupboard. 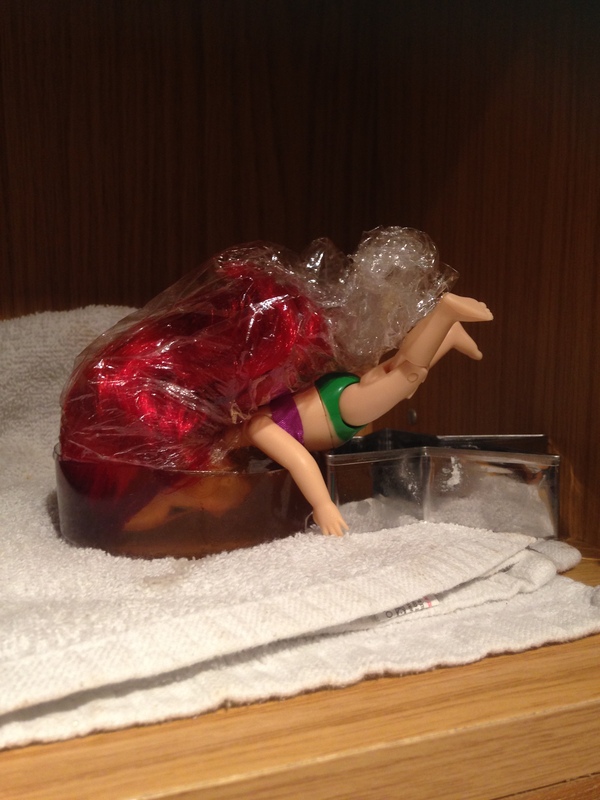 In fact, lurking in my cupboards are all kinds of weird, in-limbo, creations- waiting for a final resting place. 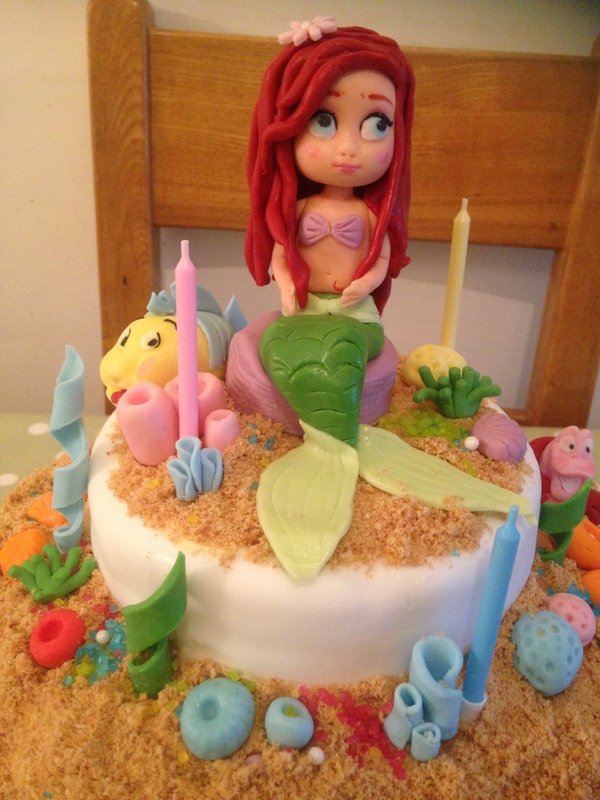 Well, for those of you who have the inclination and a little time – remember – you can make those fondant bad-boys in advance – I say go for it – become a fondant fakir and share your magic with me – please – I need all the help and inspiration I can get. 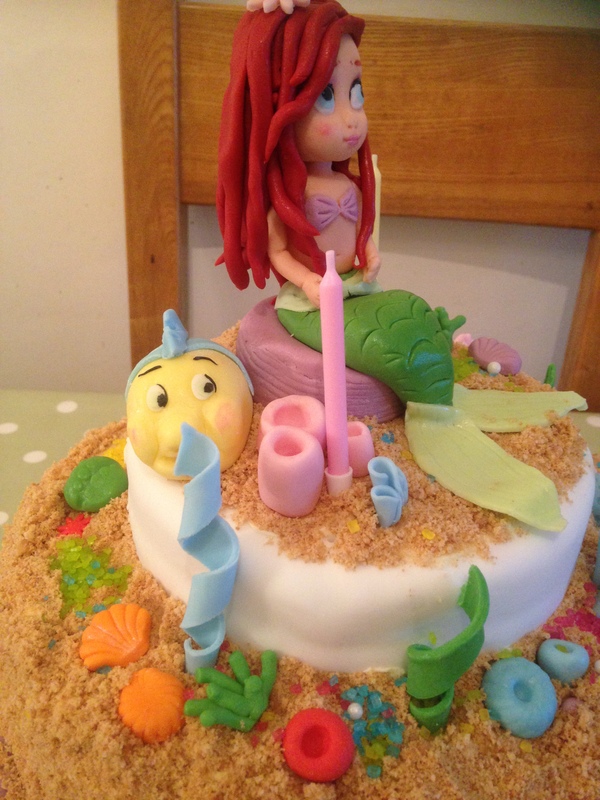 p.s – if you would like more detailed information on how to sculpt individual elements of any of the cakes I have shown on the blog or Facebook page – please let me know and I can do follow-up posts -depending on demand. Feel free to ask questions and I will do my best! Next Article Beach Hut Boost!